“We have tentatively scheduled the rocket launch at 9.30 a.m. to carry Cartosat and other satellites, including 28 from the US and five other countries in a single mission,” ISRO Director Devi Prasad Karnik said. India will launch 31 satellites, including the earth observation spacecraft Cartosat on January 10, from its spaceport at Sriharikota in Andhra Pradesh, said a space official on Saturday. 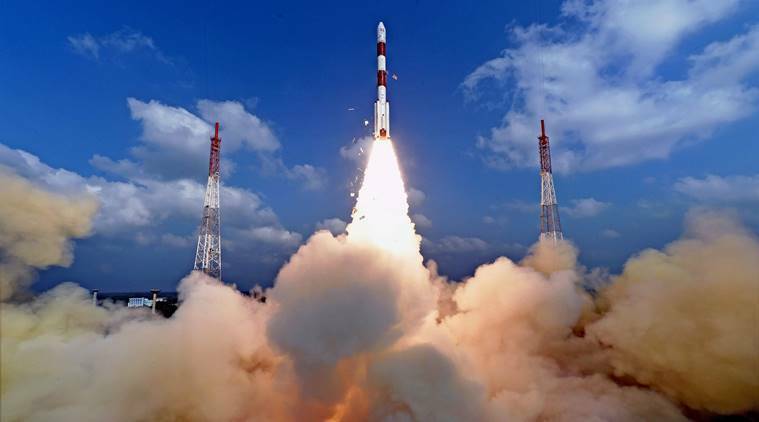 “We have tentatively scheduled the rocket launch at 9.30 a.m. to carry Cartosat and other satellites, including 28 from the US and five other countries in a single mission,” Indian Space Research Organisation (ISRO) Director Devi Prasad Karnik told IANS here. The first space mission in 2018 onboard the Polar Satellite Launch Vehicle (PSLV-C40) comes four months after a similar rocket failed to deliver the country’s eighth navigation satellite in the earth’s lower orbit on August 31. “The sixth Cartosat in 2A series and other satellites are being integrated with the rocket at the spaceport. The mission launch board will decide the rocket’s lift-off time for the reverse countdown two days ahead,” said Karnik. The mission’s payload will also include one each nano and micro satellite from India, besides Cartosat-2. As an observational satellite, Cartosat will beam high-quality images for cartographic, urban and rural applications, coastal land use and regulation and utility management like road network monitoring. The previous satellite in the Cartosat-2 series was launched on February 15, from the spaceport on the east coast, about 90km northeast of Chennai.